Magic Pete is a member of the World’s most famous Magicians club. 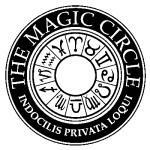 The Magic Circle. To become a member of the Magic Circle he had to audition in front of his peers to prove he was a worthy candidate. Magic Pete performed his S.A.M.S winning act that he won in Dundee to become ‘The Scottish Stage Magician of the Year 2011’.